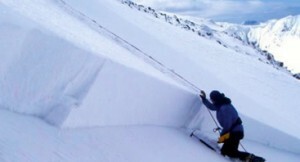 An opportunity for all mountain enthusiasts, skiers, boarders, climbers, walkers, mountain guides, instructors, ski patrol, mountain rescue personnel and other professionals to address the challenges that avalanche hazard in Scotland presents. What snow conditions are we faced with ? How can we manage ourselves in mountain terrain ? How can we best understand the messages and information about avalanche hazard that we present or receive? What can we learn from others about ourselves and how we understand and interpret messages ? What solutions can we develop to best present the avalanche hazard message and avalanche hazard understanding for the Scottish mountains.